Itinerary -Day 1:SINGPAORE -BINTANArrive Singapore airport. Pick up and transfer to Ferry terminal.O..
ltenaery - 2N SingaporeDay 01 - Arrive SingaporeArrive at the award winning Singapore Changi Airport..
Itenaery - 3N SingaporeDay 01- Arrival in Singapore | Visit to Night Safari (Optional)Upon arrival a..
Itenaery - 4N SingaporeDay 01-Arrive Singapore & Optional Tour - Night SafariWelcome to the Fun ..
Itenaery - 4N Singapore (Kids Special )Day 01- Arrive in Singapore - As soon as you arrive at Singap..
Itenaery - 3N Singapore, 3N Kuala LumpurDay 01 Arrival in Singapore - Flight to Kuala Lumpur Upon yo..
Itinerary -Day 1:SINGAPOREWelcome to Singapore. On arrival complete your immigration formalities &am..
Itinerary -Day 1:SINGAPORE - PHUKET Arrive Singapore aiprort. Proceed for next flight to ..
Itinerary -Day 1:INDIA-LANGKAWIArrive Langkawi, freshen up at the airport. Later pick up & tra..
Itinerary -Day 1:SINGAPOREWelcome to Singapore. 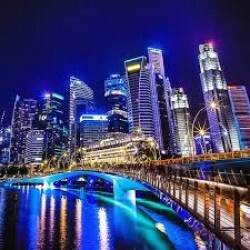 On arrival complete your immigration formalities &..
Itinerary -Day 1:SINGAPORE Welcome to Singapore. On arrival complete your immigration formaliti..
Itinerary -Day 1:SINGAPORE-CRUISEWelcome to Singapore. On arrival complete your immigration formalit..
Itinerary -Day 1:SINGAPORE - CRUISEWelcome to Singapore. On arrival complete your immigration formal..